HEALTHY&QUIET - Adopted ultrasonic technology, the humidifier works extremely quiet. It gives out ultra fine and smooth mist which can soften and moisten dry and chapped skin in winter. It also helps you breathe better when your air conditioner is on. PORTABLE&LIGHTWEIGHT&LED LIGHT - Design for Home, Car, Bedroom, Office,Travel and so on, portable mini size and suit for everybody in each age.Soft LED lighting creates a romantic atmosphere that keeps you away from the hustle and bustle of modern life. 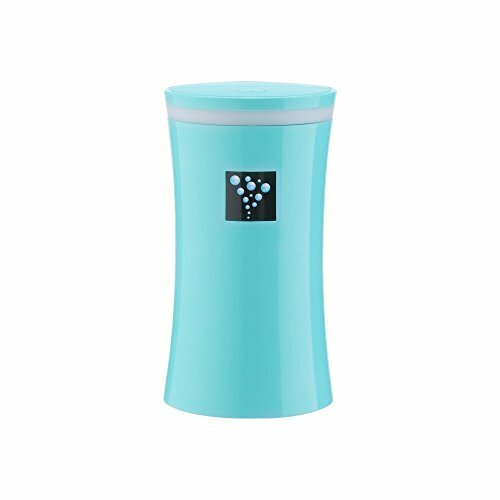 EASY TO USE - You just fill up the cup with water, after the internal filter was soaked, plug the device into your USB port and press the ON/OFF button. If you have any questions about this product by RuiQi KeJi, contact us by completing and submitting the form below. If you are looking for a specif part number, please include it with your message.